Research by ESI ThoughtLab, a think tank, and partners, found several British cities are leading the way in smart city adoption, and that data is king when it comes to global smart city innovation. What is the current smart city climate? 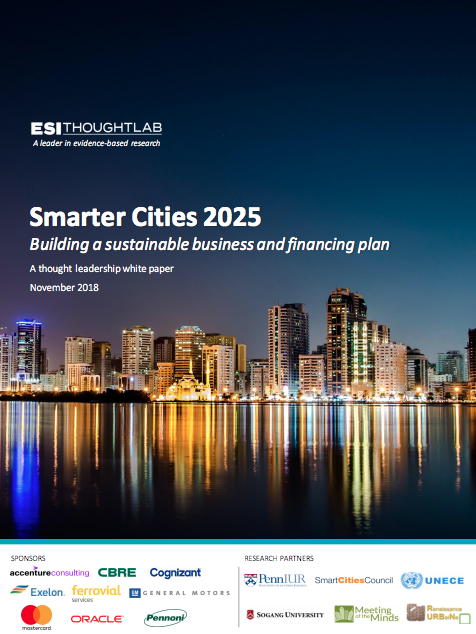 ESI ThoughtLab conducted an in-depth benchmarking survey of government leaders in 136 cities around the world to understand their smart city perspectives, practices and performance results. 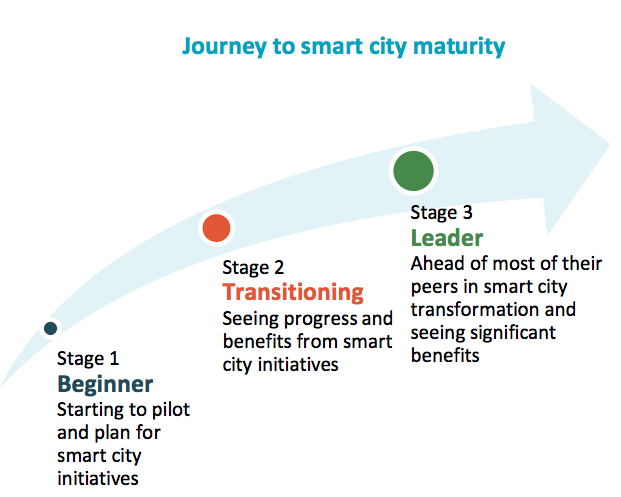 They calculated a “smart city maturity score” for each city. It was good news for British cities, with Edinburgh, London and Oxford all considered ‘leaders’; Birmingham, Brighton & Hove, Bristol, Cardiff, Cork, Milton Keynes and Newcastle upon Tyne all in a mid-level ‘transitioning’ phase. ‘Beginner’ cities who have a lot of growth to do in their smart city plans include Aberdeen, Bangkok, Galway, Lisbon and Vancouver. ESI’s modelling and analysis found that as cities advance their smart city transformation, they are better able to reap the benefits of investments in new technologies and systems. The report details that with sound governance, adequate funding and talented workers, smarter cities can capitalise on investments in innovation to generate new revenue streams and cost efficiencies. Research found that on average ‘beginner’ cities have the potential to increase GDP per capita by as much as 21% and population growth by 13% over the next 5 years if they can achieve their stated smart city plans. Transitioning and leader cities can potentially see additional GDP per capita and population increases as well, albeit at a slower rate. 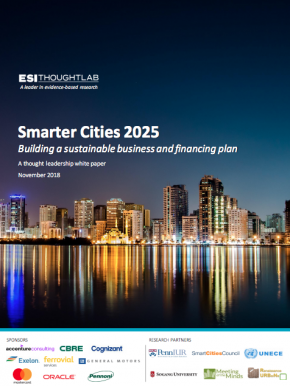 ESI’s research concludes with a call to action for leaders to increase their smart city capability. 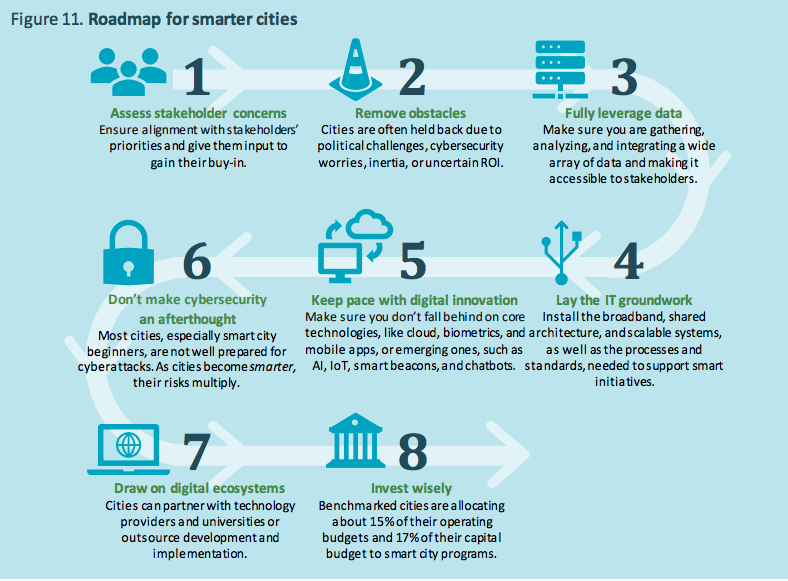 The report encourages local governments to start with a vision and roadmap to their smart city future, whilst outlining that smart cities need a strong foundation, strong infrastructure and adequate funding. Finally, ESI’s report emphasises the significance of data, describing it as “the rocket fuel for smart city transformation”. The importance of data includes making it accessible to stakeholders and monetising its value. The report predicts that by 2021, almost all cities will draw on IoT and real-time data, and use of predictive data, which about 40% of cities already use, will rise in usage by 63%. Similarly, use of both geospatial and behavioural data will rise by 54%.